I found this recipe at The Yummy Mummy Kitchen – Marina is all about creating simple healthy recipes for her family (and readers). The recipe for this is so easy, you will saying, Why didn’t I think of this myself?! 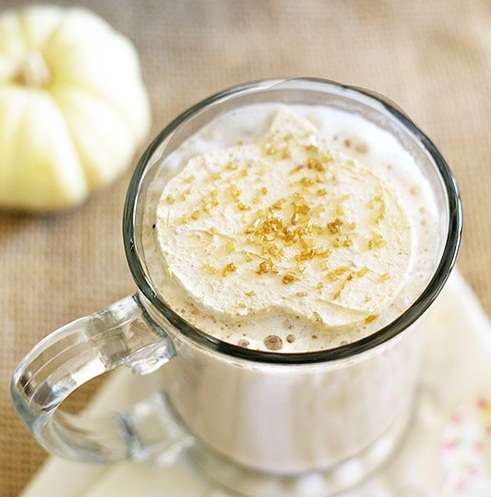 Mix non-fat whipped topping, canned pumpkin, pumpkin pie spice, and sweetener (optional) in a large mixing bowl. After it’s all mixed together, spread the topping in a flat pan or tray, and pop it in the freezer. 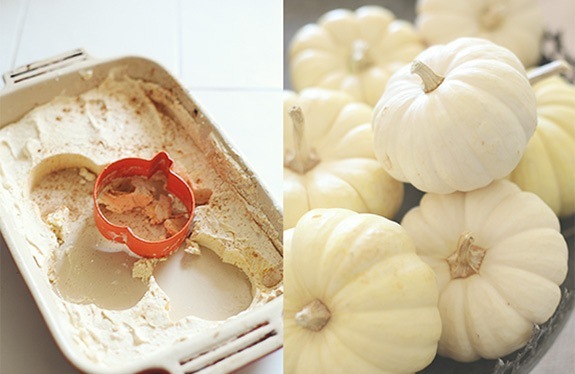 Once the mixture is frozen, use a cute pumpkin shaped cookie cutter to cut out the adorable pumpkin flavored “creamers” and drop it in your morning coffee for a creamy dreamy treat! Or, if you are lazy like me, no need to freeze the mixture – just save it in a Tupperware in the fridge and spoon it into your to-go cup before running out of the house (trust me, her photos are way prettier than mine ended up looking this morning). Um, that looks amazing! Want one now!